From Monday 4 June 2018, you’ll start to see learner drivers having motorway driving lessons in England, Scotland and Wales. 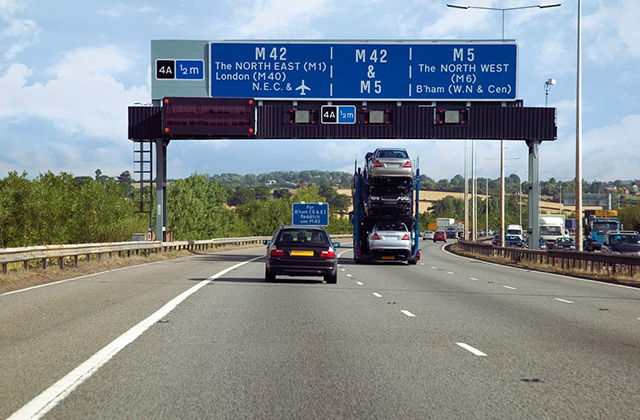 As professional drivers and operators, you rely on the motorway network to help transport goods or passengers across Great Britain. So, I want to explain how the rules work, the benefits for learner drivers, and how this will ultimately benefit you. Any motorway lessons learner drivers take will be voluntary. They must be with an approved driving instructor – so there’ll be no learners driving up the M1 with mum or dad in the passenger seat. The car they’re driving must have dual-controls and must display L plates. Driving instructors will only take learner drivers on the motorway when they have the right skills and experience to drive in a high-speed environment. They already practise driving on dual carriageways, so this will be a natural progression. Driving instructors are highly-skilled and spend their lives training people to drive safely. They’ll be sitting next to their pupil in their driving school car - so for their own safety, they’re very unlikely to take anyone who is not ready onto the motorway. We think it’s much safer for learners to be accompanied by a professional driving instructor the first time they go on a motorway, rather than just to drive onto the motorway for the first time after they pass their test without any prior experience. That last point is particularly important. Research with new drivers has shown that some avoid using motorways because they lack confidence to use them. This means they spend more time driving on rural roads. In fact, 80% of all young driver deaths happen on rural roads (just 4% are on motorways). These can be more challenging because of sharp bends, hidden dips, blind summits and concealed entrances. But this isn’t just about building learner drivers’ confidence. It will also have benefits for everyone travelling on the motorway. We hope that by teaching the next generation of drivers good lane discipline and how to interact with all vehicles – including lorries and coaches - we can make the motorways safer and more efficient for everyone. We also hope it will contribute to a reduction in the number of young drivers being killed on rural roads. Road casualties devastate families and communities. Collisions also cost the economy an estimated £16.3 billion a year, and they add pressure on the NHS and our emergency services. Fewer collisions will help to keep the road network moving, and save you time and money as you transport goods and passengers across Great Britain. We need you to treat learners how you’d like to be treated. Be patient and considerate of them, and remember what The Highway Code says. Learners and inexperienced drivers may not be so skilful at anticipating and responding to events. Be particularly patient with learner drivers and young drivers. We know you do this already, but if everyone follows this advice, we can make a big difference and help make this change a success and make our motorways safer. So to help us spread the word, you can share or retweet content from The Highway Code on Facebook or Twitter. We’ll be sharing lots of motorway rules over the coming days, and if you share them, we can get them in front of lots of drivers who might not have had the benefit of motorway lessons. Keep up to date with our work by signing up for email alerts or following DVSA on Twitter or Facebook.